Babylonstoren arranged for the bird to be taken to the Spier birds of prey rehabilitation centre, where they told us that Vicky and Mark had rescued a Black Sparrowhawk (Accipiter melanoleucus). The birdkeeper estimated the age of the bird as 3 years, and said that as it is mating season now, it would be important to get the bird back into nature as soon as possible. He suspected that the bird had a broken ‘wishbone’ (just like a chicken’s wishbone), and did a full body survey to see what else might be wrong. 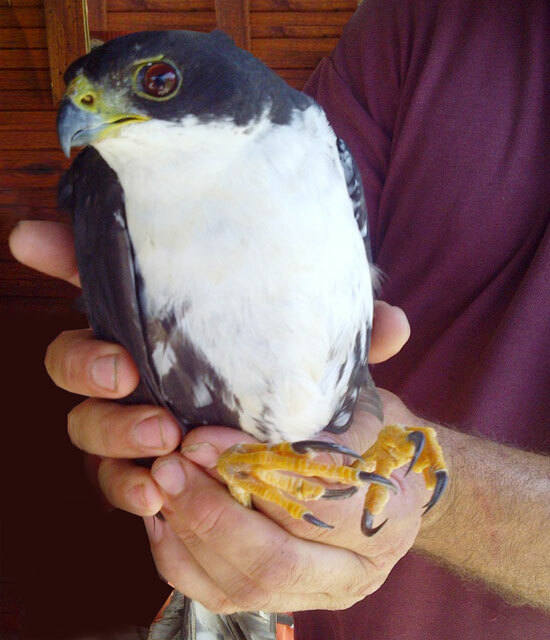 Good news arrived on the New Year’s Eve, when Spier’s birdkeeper let us know that our Black Sparrowhawk had made a full recovery and could be released back into the wild. What a way to end the year! In the Cape Peninsula, sparrowhawks face habitat competition with Egyptian geese, who steal their nests.